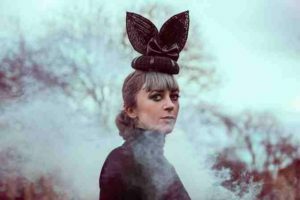 Helen Marnie has established herself as a solo artist with her magnificent first opus ‘Crystal World’, which having been recorded in Iceland, had a feel of cold and serene, yet volatile atmosphere. Of course, better known as the front face of LADYTRON, Marnie’s own sound will always be compared with that of the band which made her popular, but her musicianship runs deep. 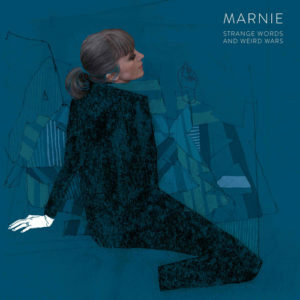 Having studied classical piano at the Royal Scottish Academy Of Music & Drama and music at the University Of Liverpool, Marnie is a songwriter and instrumentalist in her own right. 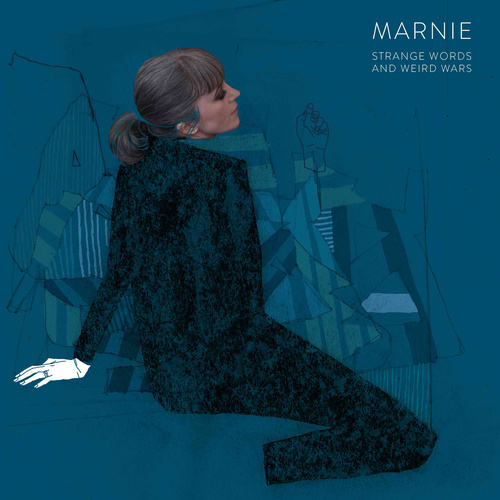 Having been remixed by names like Mark Reeder and Stephen Morris, Marnie quotes KATE BUSH, MARIA CALLAS, CHVRCHES and GRIMES as her favourites. And now her long awaited second album ‘Strange Words & Weird Wars’ announces itself with the first single ‘Alphabet Block’. A burst of pure pop, sounding like a cross between MEL C, KYLIE MINOGUE and GRIMES, the song is deliciously melodic with the addition of that candied voice, all the ready to challenge pop and electronic charts alike. ‘Bloom’ ushers a decent dose of synth in, while continuing to be a hook laden gem… so why haven’t we sent Marnie to do the Eurovision again? Meanwhile ‘G.I.R.L.S’ bears the signs of the synth revival girls LA ROUX and LADYHAWKE. From girls to boys, ‘Summer Boys’ brings in slower paced commodities of dreamy electronica and classic pop, but where are Don Henley’s ‘Boys Of Summer’? Back onto girls, ‘Invisible Girl’ pays homage to the classic pop of the late 20th Century, combined with something LADY GAGA wouldn’t be ashamed of. Meanwhile, ‘A Girl Walks Home Alone At Night’ brings back the feel of the tracks John Fryer used to produce during the shoegazing era. 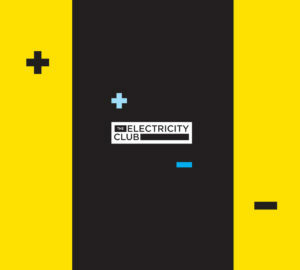 ‘Electric Youth’ stands out with a perfect pop utilisation à la TIFFANY or even DEBBIE GIBSON. With ‘Little Knives’, Marnie is as close as she can get to GRIMES; it’s a grown up CHVRCHES inspired track, which in places could have been a LADYTRON piece. However, it’s quite clear here that the darker influences of LADYTRON never originated with Marnie. ‘Lost Maps’ is simply stunning; urgent, yet patient, full bodied, yet uncomplicated. It’s an instant hit. The long player is wrapped up with ‘Heartbreak Kid’, which beefs up the synths and extends Marnie’s vocal abilities, genuinely showcasing the lady’s capabilities. What can Marnie’s solo project be described as? It’s like LADYTRON, minus the darkness or gothica, but with an added genuine love of pop music, often in a Scandinavian style. However this is not a happy clappy record; under the aura of sweetness, there are real issues, but they’re freshly packaged and positively delivered. This is a worthy body of work from the Scottish songstress.